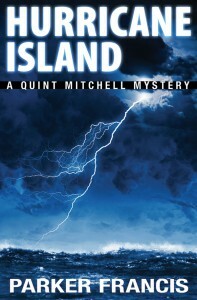 If you’ve been holding your breath awaiting the next Quint Mitchell Mystery take a deep breath. Hurricane Island is now available from Amazon.com as both a print and Kindle ebook. Of course, Quint finds himself in a world of trouble once again. It doesn’t start out that way, but when Woody Carpenter, a former Atlanta cop and Quint’s old Navy buddy, invites Quint and Serena to a relaxing weekend of fishing and socializing in Cedar Key, neither expected they’d end up battling an unknown killer—and a hurricane—in a high stakes game of life and death. Quint’s girlfriend and Woody’s wife are taken in an abduction plot that goes horribly wrong. With Hurricane Freda wreaking havoc along the Gulf Coast, Quint and Woody must fight the elements while following a maze of confusing clues in order to rescue their loved ones. The clock keeps ticking in this fast-paced thriller (it all takes place in 24 hours) where one false move means certain death on Hurricane Island. Here’s what New York Times bestselling author Lisa Black said about Hurricane Island: “Parker Francis’ new thriller starts with a gust and steadily increases to hurricane speeds. You’ll want to lash yourself to a palm tree and hang on for dear life.” Order your copy now from Amazon.com or contact me if you want a personalized copy.